They lived scared, afraid of being caught by hungry Xmas mouths looking for a ginger flavour. Eles viviam assustados, com receio de serem apanhados por bocas de Natal famintas de sabores a gengibre. and the rainbow came and took them away, to a place free of xmas mouths looking for a ginger flavour! e o arco-iris chegou e levou-os para um sitio livre de bocas de Natal à procura de sabores a gengibre. 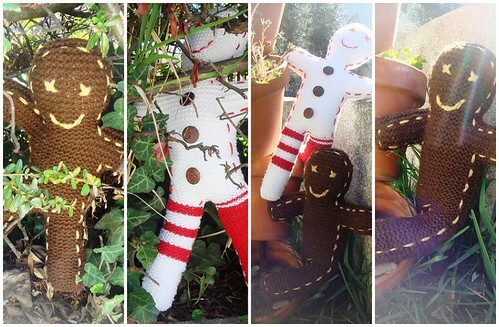 Esta entrada foi publicada em CRAFT, knitting, softies, x-mas. ligação permanente.